Building the range of diagnostic services for identification of genetic predisposition to oncological diseases is among the core priorities for Genetico® center & lab. The provision of services in the field of oncogenetics started in the end of 2014* when the testing for genetic predisposition to breast cancer and/or ovarian cancer was launched. The screening allowed to identify the carrier status of 88 most frequent mutations in genes associated with those diseases - BRCA1, BRCA2, СHE1, RAD51, NBN. The improvement of diagnostic methods and the development of oncogenetics itself are calling for the introduction of more personalized approach to identification of genetic predisposition to hereditary cancers (individualized risk assessment). For this reason, today the patients are offered a broad range of genetic tests: from the detection of most frequent mutations to the full genome sequencing. The selection of appropriate diagnostics is conducted by a medical geneticist. Taking into consideration proven and well characterized contribution of inherited mutations in certain genes to a high risk of breast and/or ovarian cancer, our genetic tests are mostly related to hereditary breast-ovarian cancer prediction, prevention and control. In addition, there is a test panel based on Next Generation Sequencing to identify pathological changes in genes associated with familial cancers of other localization (e.g. colorectal cancer). According to research, faulty genes are the underlying cause for about 5–10% (5 to 10 in 100) of breast cancers and 10% (10 in 100) of ovarian cancer. There are several genes that, if mutated, greatly increase an individual’s chance of developing breast and ovarian cancer. The mostly well known are BRCA1 (Breast Cancer 1) and BRCA2 (Breast Cancer 2) genes. These two genes account for approximately a fifth (20%) of familial breast cancers. Timely identification of cancer-related genes mutations allows the woman and her family to take up preventative measures against the risk of cancer development. Oncogenetic testing primarily indicative for those people, whose family has a record of breast cancer, ovarian cancer, fallopian tubes cancer, peritoneum cancer or prostate cancer – as well as for people whose close relatives are carriers of mutations in one of the genes associated with breast cancer and/or ovarian cancer. 60,000 women are diagnosed with breast cancer in Russia annually, and this cancer is considered to be the most common oncology disease among women. 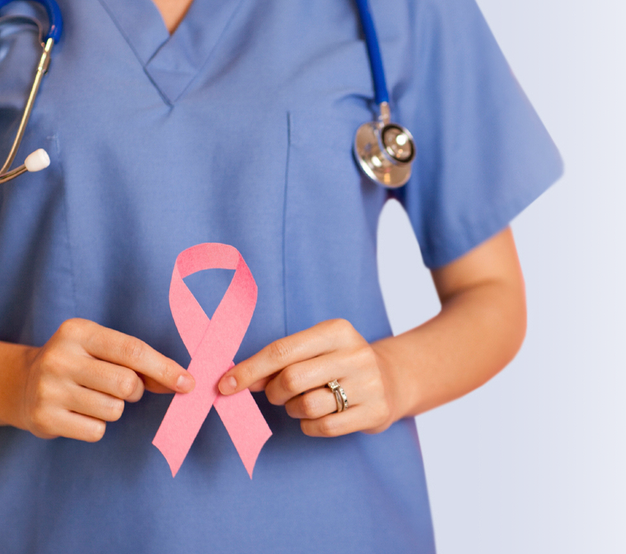 According to Foundation for Cancer Prophylaxis (http://nenaprasno.ru/fund/news/141), in 94% of cases breast cancer is treatable if diagnosed at an early stage. * The services are provided by GENETICO LLC (renamed in October 2015 from RGMC HSCI LLC) – a subsidiary of HSCI.